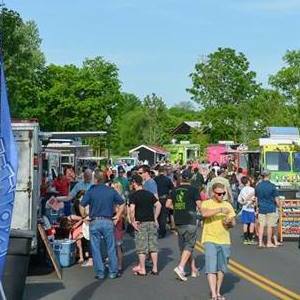 Held annually each May, Eat the Street serves up delectable eats and treats from more than 40 food trucks while also serving as the 21st Drug Court’s most important fundraiser. Now in its 5th year, the 2016 event drew nearly 10,000 people from all over Middle Tennessee to Franklin’s Bicentennial Park. Corporate and community donors along with vendor fees help to fund the Drug Court’s treatment alternative to traditional sentencing for non-violent offenders whose crimes result from drug or alcohol addiction. Gray Public Relations has managed all aspects of PR and marketing for the annual fundraiser since its inception in 2011, steadily growing the event in terms of vendor, corporate and media sponsors and attendees. Media sponsorships were secured by local print and online media with a valuation of more than $10,000. Articles ran in all targeted top-tier and community publications. Significant social media engagement included a Facebook reach of 24,000 and 9,800 Twitter impressions.